Thinking of adding a CBD routine in your daily life? Well good for you, as I can’t stress enough the benefits taking any kind of CBD-based product. And when that decision is made, the next question poses its head – what type of CBD product to get? Should you go for the pure CBD isolate, or maybe take a broad-spectrum CBD or even full-spectrum CBD oil? And it can get confusing reading through the manufacturer’s website with mentions of extraction methods, whole plant extracts, and a lot of other unfamiliar information. All plants, cannabis included, contain compounds that are called terpenes. CBD – Cannabidiol is the prime, most abundant and most useful cannabinoid the cannabis plant has to offer, some other are THC, CBG, CBN, CBD, and many others (about 100 in total derived from the cannabis plant). The amount of each one depends on the strain of cannabis used in production and the extraction methods used. Each strain has different contents of terpenes and cannabinoids and for the production of CBD oil, the industrial hemp usually used is selectively bred to have a large CBD content and very low THC content. The extraction method used is what makes all the difference in the quality of the final product. CBD and the other cannabinoids can be extracted via several methods like alcohol extraction with ethanol or hexane, or the CO2 extraction. The alcohol extraction process is significantly cheaper and it produces a lower quality product. The alcohol extraction process demands to submit the extract to heat, which can cause formaldehyde to occur in the blend. The CO2 extraction process is more expensive, but it produces significantly superior quality CBD oil. The CO2 extraction can be done in subcritical temperature and supercritical temperature. The best CBD oil is made using the supercritical CO2 extraction as this process is done on a very low temperature, preserving all the natural terpenes and cannabinoids in the oil. The whole hemp plant contain cannabinoids and the good quality CBD products are made from the whole plant. The best CBD products are made from a pulp made from the whole hemp plant. After the hemp ripens, it is harvested and air dried. When it is significantly dry, it gets ground into a more manageable material and the extraction process can begin. The best way, as outlined before is the supercritical CO2 extraction that will yield a high-quality extract that is free of solvents and impurities. The hemp extract that contains all the naturally occurring terpenes and cannabinoids is known as full-spectrum CBD extract. Even if their content is small, when all the natural terpenes are present in the CBD oil, this is the full-spectrum CBD oil. Don’t worry, as the legally prescribed content of THC is less than 0.3%, so even if the product is labeled as full-spectrum, there is almost no THC in it. Well, there is some, so if you are going to be doing regular drug tests, refrain from using full-spectrum CBD products. When you use a full-spectrum CBD oil, your body experiences the “Entourage Effect,” which is where all the naturally occurring terpenes work its magic and bring you an increased, synergic beneficial effect. All the other terpenes and cannabinoids add a little extra to your wellbeing – just like every member of the entourage has its own trait – and your body will feel it. When the oil is extracted from the hemp plant, it contains a mix of many of the naturally occurring terpenes and cannabinoids, but without the risk of THC. The extract undergoes another step where the THC, as a “bad” cannabinoid gets isolated and completely removed from the blend, while all the other “good” cannabinoids get to stay in the CBD oil. The zero THC is proven via a lab test where the reports should clearly state zero THC in the blend. When you are purchasing CBD oil, look for the lab test results, they should be readily available on the company’s website, as these are an indication of the content of the broad-spectrum CBD oil. Just to be clear, there are cases where the broad-spectrum CBD oil is made by blending CBD isolate along with other hemp-derived terpenes in select quantities as to limit the risk of polluting the product with THC. Isolate stands for a pure isolate product – in most cases, it is 99% (or higher) pure CBD extracted from the hemp extract. The pure CBD isolate is just that – pure CBD isolated from the sea of all the other naturally occurring terpenes and cannabinoids. Most CBD oils found on the market today are made by infusing a carrier oil, usually MCT oil (Medium Chain Triglyceride) derived from hemp seeds with pure CBD isolate. This way the companies are certain that there can be no other ingredients and they are selling pure CBD product. Sometimes companies also sell the CBD isolate in crystalline form or in powdered form and the customer can use it as they prefer. In light of recent studies, there have been reports that the full-spectrum CBD products have the greatest benefits to the health of people. But there is the added risk that you may end up testing positive for THC, even though the THC in the blend is less than 0.3%. The pure CBD isolate contains only CBD in a suitable carrier oil, and you only get the benefits from CBD, and there is no entourage effect. But, using a product made with pure CBD isolate removes the risk of showing up positive for THC on a drug test. The broad-spectrum CBD product is in between these two, as it still contains many of the useful terpenes and cannabinoids, but contains zero THC, so there is still some entourage effect without the risk of testing positive on a drug test. Above I have outlined enough information to get you started into CBD. You now know what to look for when browsing the many CBD manufacturers out there. And you know the differences between the full-spectrum, broad-spectrum and CBD isolate, you know to look for the whole plant product made via supercritical CO2 extraction. If you are subjected to regular drug tests, then I recommend that you use high-quality broad spectrum CBD products or CBD isolate products. 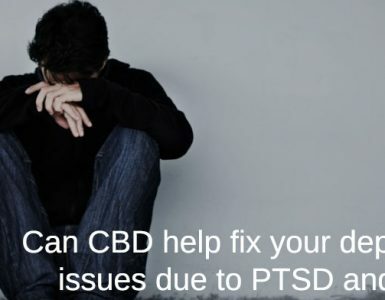 And if you are not required to take drug tests, and want to experience the best hemp has to offer, then, by all means, use full-spectrum CBD products. Quit Alcohol And Smoking By Using CBD?